Water every art of your garden or lawn with Storm Manufacturing's Brass Ajustable Sprinkler Head, which flaunts 20-340 degree arc or full circle options. This adjustable sprinkler head is designed for large turf areas, dust control, nurseries, and general purpose. 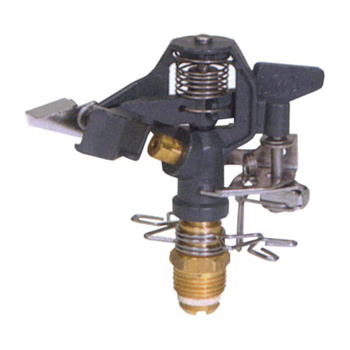 This Brass Adjustable Sprinkler Head features a solid brass construction as well as stainless steel drive springs, trip assembly and collars for durability. This sprinkler head also features patented spray distribution grooves.